The latest issue of China Briefing Magazine, titled “China Investment Roadmap: the Elderly Care Industry“, is out now and available to subscribers as a complimentary download in the Asia Briefing Bookstore through the month of May. In this issue of China Briefing magazine, we present a roadmap for investing in China’s elderly care industry. We provide the latest market research, detail the procedures and benefits for foreign direct investment, and examine the main barriers and risks that foreign companies are likely to encounter when entering the market. Since China’s reform and opening up in the 80s, foreign NGOs have been instrumental in channeling capital, intelligence and expertise into the country’s development and expansion. Over the years, this contribution has alternately been welcomed and looked upon with skepticism by the state. Now, with the recent ratification of the “Administrative Law on Activities of Overseas Non-government Organizations within the Territory of the People’s Republic of China” – the first comprehensive guiding law for foreign NGOs – China’s position on their activities is set to take a new and more restrictive form. Promulgated on April 28 and due to come into effect on January 1, 2017, the new law places stringent constraints on the registration, operation and funding of foreign NGOs in the name of protecting national security. It is estimated that around 7000 foreign groups and organizations with existing operations in China will be affected, and that the incorporation process for new NGOs will be significantly more difficult. Many in the industry already saw it coming, but China now officially outranks the United States in one more category: sales of new-energy vehicles (NEVs). According to 2015 statistics provided by the China Association of Automobile Manufacturers (CAAM), China produced and sold over 300,000 units of NEVs, an increase of over 300 percent year-on-year. Other areas of the industry are almost as dynamic: battery electric vehicles (BEVs) totaled almost 250,000 units during the same year – an increase of over 400 percent year-on-year – while plug-in hybrid electric vehicle (PHEV) sales totaled over 80,000 units, increasing almost 200 percent year-on-year. Conversely, the United States saw its NEV sales slow down as oil prices decreased. This change in ranking comes as China continues to strengthen its push towards green development. NEVs, which here refers to all-electrics, plug-in hybrids, and hydrogen fuel-cell vehicles, is one of the key industries that China will foster for at least the next half-decade. Effective as of May 1, China completed the last step in its extensive business tax to VAT reform by extending the previous pilot programs to cover the remaining sectors of finance, life services, property and construction. The reform was initiated with the aim to reduce the tax burden of businesses, with an estimated 97 percent of tax payers to pay less tax with savings of over RMB 300 billion. Previously, the real estate and construction industries were subject to three and five percent business tax (BT) respectively, but both are now subject to 11 percent VAT. There is no value in making a direct comparison between the two, however, as VAT is assessed on a net basis, and BT on a gross basis. Recent legislative and judicial actions in India’s capital of Delhi have caused significant disruption to the establishment of businesses. In the past few weeks, Delhi has implemented two measures to combat the rising levels of pollution in the mega city. Both have influenced various facets of Delhi’s economy, were particularly harsh on certain businesses, and inadvertently punished consumers in the city. The plans were introduced with noble intentions, but affected business operations for numerous companies. Most of these companies were underprepared to cope with changes in Delhi’s economic landscape. This underlined the importance of preparation and adaptation for businesses that operate in India – companies that keep abreast of changes in the legislative and judicial space can mitigate the risks that their businesses face. On ­­­­May 6, LG Display Group, a subsidiary of South Korea’s LG Electronics, pledged US $1.5 billion to establish a screen factory in Hai Phong. Launching next year, the factory will produce high-tech digital displays using LG’s organic light emitting diodes. This investment comes just a year after LG opened a US $1.5 billion factory in Hai Phong and follows similar investments from the likes of Samsung and Nokia. Over the past four years, Vietnam’s electronics sector has grown by 78 percent, becoming the country’s number one export in 2013. With pro-foreign investment policies and a competitive labor force, Vietnamese electronics production has also quickly surpassed regional rivals such as Thailand and the Philippines and is expected to grow at a modest five percent over the next two years, positioning Vietnam to surpass Singapore as the region’s fifth largest electronics exporter. Spurred on by domestic demand, the Philippine economy is performing the best out of the ASEAN-5, according to the IMF’s latest Regional Economic Outlook (REO). Gross Domestic Product is forecast for growth rates of 6.0 percent for 2016 and 6.2 percent for 2017. Underpinning these gains, higher public consumption and investment are pointed to as the drivers of demand as the country progresses from its rate of 5.8 percent in 2015. Private demand is shown to be increasing as a result of low unemployment, low oil prices, and higher worker remittances. Private investment is also expected to perform well as infrastructure has developed and public-private partnership projects are on the rise. The Philippines didn’t suffer too badly from the spillover effects coming from China’s slowdown, however, the country needs to do more to catch up on regional export levels. Mikhail Dmitriev, President of New Economic Growth in Moscow, is one of Russia’s leading strategic thinkers, and an ex-member of the Russian Government, being Vice-Minister for Finance from 2000-2004 and chairing the Centre for Strategic Research in Moscow, the countries top think-tank. 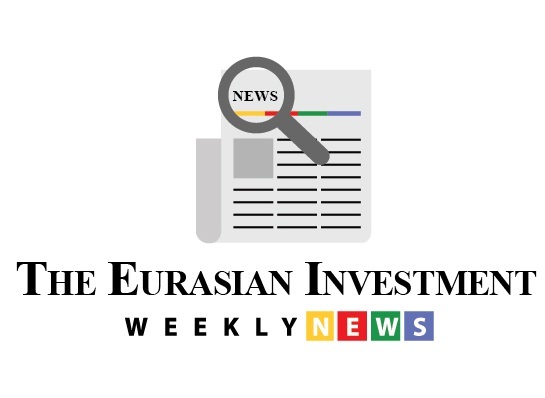 In his recent Asia House presentation “Russian Society and the Economic Turning Point: Opportunities Missed, Opportunities Taken”, Dmitriev’s comments are, for a change, more upbeat about Russia’s immediate prospects. While the difficult situation in Russia is old news, according to official data provided by the Federal State Statistics Service (FSSS), in 2015 Russia’s GDP decreased by 3.7 percent and industrial production dropped by 3.4 percent. Based on that data, it appears that there are no reasons to be optimistic in 2016. The fundamental factors that caused the recession are still there: oil prices are low, and international sanctions have not been lifted. In this issue, we compare and contrast the most relevant tax laws applicable for businesses with a presence in Asia. We analyze the different tax rates of 13 jurisdictions in the region, including India, China, Hong Kong, and the 10 member states of ASEAN. We also take a look at some of the most important compliance issues that businesses should be aware of, and conclude by discussing some of the most important tax and finance concerns companies will face when entering Asia. Singapore has overtaken Hong Kong as the top financial hub in Asia, according to Z/Yen Group’s Global Financial Centers Index (GFCI). Hong Kong slipped to fourth place overall, while Singapore now only trails London and New York globally. 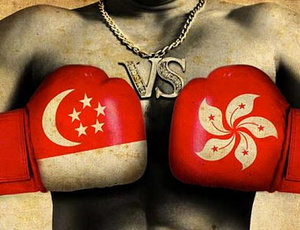 Although the two financial centers are essentially neck and neck – Singapore scoring 755 points out of 1000 and Hong Kong 752 – the shift is indicative of a wider trend of optimism towards Singapore and uncertainty facing Hong Kong. Neither of these countries met the proposed ASEAN Economic Compliance deadline for reducing tariffs as they were supposed to at the end of 2015, mainly because of local market concerns that in doing so opens them up to fully comply with the ASEAN-China Free Trade Agreement and the importation of thousands of Chinese product categories at zero tariffs – a situation that could spell disaster for already fragile economies. These ASEAN countries have other problems too – a lack of productivity, and some of the lowest human capital rankings in the world. Myanmar, with its population of 53 million, has amongst them very few semi-skilled workers – much of the population remains uneducated and are essentially subsistence farmers. That is a huge problem when looking at manufacturing using local labor. Laos has similar issues, coupled with a tough, mountainous terrain, poor infrastructure and no seaport access. Cambodia is marginally better, yet productivity issues remain a problem. The Thai economy is bumping along at present, with minimal growth expected during the year. The World Bank expects 2.9 percent growth in the country in 2016. Like many Asian and indeed global economies, we have been affected by the slow down in China, with a domestic political situation and medium term outlook still unclear. 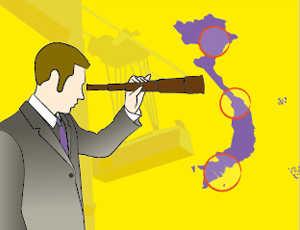 At present however, rather than see foreign investors come to Thailand to manufacture and sell, we are seeing a different pattern – our military government has concentrated on getting much needed investment into our Thai infrastructure development, an improvement on the previous situation where corruption had eaten its way into our democratic political system. It is hard to say when the military will step down and allow us to function as a democracy again, it seems some time away. However, all Armies like infrastructure development, and a benefit of us being under this current Government is a commitment to infrastructure improvements. We are seeing foreign investors from China and Singapore, as well as the U.S. and especially Japan in areas such as logistics, engineering, airport, in addition to successfully competing for Government tenders. Our firm has been operating in Vietnam for several years with offices in both Hanoi and Ho Chi Minh City and the business has been growing steadily throughout since the beginning. However, it was only since the third quarter of last year that the pace has quickened substantially to the extent that our HCMC office is about to move to larger premises in Q1 this year to accommodate for a larger team of legal, accounting, tax and HR experts. The recent buzz has undoubtedly been triggered by the free trade agreements which have been signed with the European Union as well as with the other 11 members of the Trans Pacific Partnership (TPP). Several other factors have contributed to the recent positive headlines in the international press, making Vietnam one of the brightest investment destinations in Asia. Perhaps for the first time in its recent economic history, the country is at a juncture where most economic indicators seem to show some resilience in spite of what is happening in the rest of the region. The moods on the streets also seem to point towards a period of growth without major obstacles on the horizon. In Asia’s competitive investment environment, the Philippines is currently more than holding its own. The Philippines is actively generating increasing amounts of FDI, capitalizing on our demographic dividend that provides us with young and energetic new workers aged 20 to 45. This is a positive situation that is estimated to be sustainable for the next 30 years to 2050. It is hard to imagine that the Philippines will be the 16th largest economy in the world come 2050. 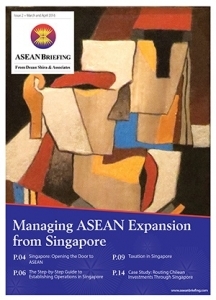 Indeed, it is even more amazing that we will be the biggest economy in Southeast Asia at that time. But this is how development in our country is set to rise, based on a new study from HSBC Global Investors. Malaysia is in a strange position at present concerning foreign investment. This is mainly brought about by political issues, particularly the scandal involving the 1MDB Bhd, an investment arm of our Malaysian government. Allegations of corruption at the highest level are having a negative impact on sentiment towards our country. While these allegations have yet to be legally substantiated, they are to a certain degree already affecting our economy across all sectors. As reported by BMI Research, “Malaysia’s Q3 2015 real GDP grew by 4.7 percent year-on-year, reflecting the economy’s slowest growth rate in nine quarters.” The trends for 2016 for both the domestic and external sectors may have a “crossover effect” that will continue over the coming quarters. This is in tandem with external global issues, such as the still-falling oil price and our weakening ringgit, which have cast a pall over the global economy for 2016. When discussing the type of foreign clients we are looking for, we find ourselves proud to serve a wide variety of clients with diverse business operations. But if we reflect purely on our government policy of accelerating foreign investment growth in Indonesia, we could say that the country has opened the door more widely for certain business sectors, especially within the manufacturing, agriculture, marine, infrastructure, and tourism industries. As a consequence of our large population, which represents 40 percent of ASEAN’s total and 38 percent of ASEAN’s consumer market, Indonesia tends to prioritize labor intensive industries to develop its competitive advantage. For example, opportunities in the mining industry have declined in the last several years as it is no longer a profitable investment until China’s consumption picks up again – likely to be some time away. China’s Overland Versus Maritime Routes – the Fastest way to Europe? Or Central Asian Commodities Exploitation? Report Linker has just released a report on the future of China’s automated logistics industry covering the period 2016 to 2020. Titled “China Automated Logistics Equipment Industry Report, 2016-2020 “, it’s a timely piece, given that much of China’s logistics industry is set to change, especially with an eye on the overland routes that will start to come into play with the advent of the new Silk Road Economic Belt. In fact, the One Belt One Road project has some experts divided as to the merits of the overland versus sea routes. Shipping freight by sea is always going to be less expensive than by land, yet China has built two extraordinary inland ports at Alashankou in Xinjiang and Manzhouli in Inner Mongolia. So what gives? After all, the Russian economy isn’t exactly doing brilliantly right now.